If you, like me found it quite hard and also bewildering learning how to play Texas Holdem Poker, then I have got a treat for you. The video below is a nine minute video that takes you through learning how to play Texas Holdem Poker. Feeling good, then have a go at the Virgin Poker Room and try your luck on the practice or real Poke Tables. 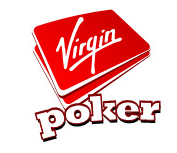 We have just finished a review of the Virgin Poker Room. This is the first review of many that we plan and eventually every site that we offer on Findabet.co.uk will be reviewed along with full installation instructions and information about each site. In this first review we take the Virgin Poker Room and show you how to install the software as well as providing an in-depth review of the Poker Software from this brand that you an trust. Be sure to give it a go and compare it to your usual Poker Room Software. The Poker application can be directly downloaded here and the review can be found here. Now I know this is not the normal sort of stuff I post here on my blog but this video showing David Blaine in a Casino doing some magic at the Roulette table is fantastic. David calls 5 red/black combinations to turn $200 into $3200. Now, I wish I could do that! This Video explains how to read Poker Odds to make winning decisions. All well worth a watch!